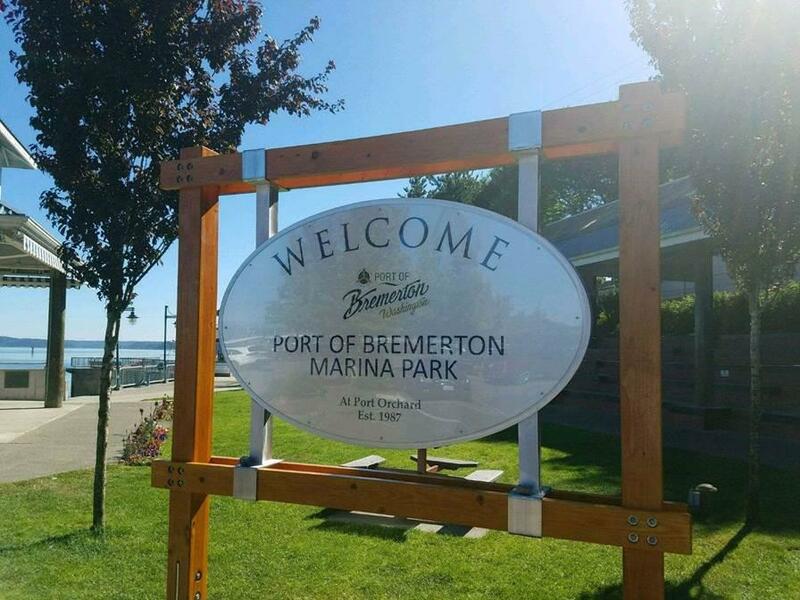 The Port Orchard Marina Park offers a unique waterfront setting for a variety of community events along Sinclair Inlet. 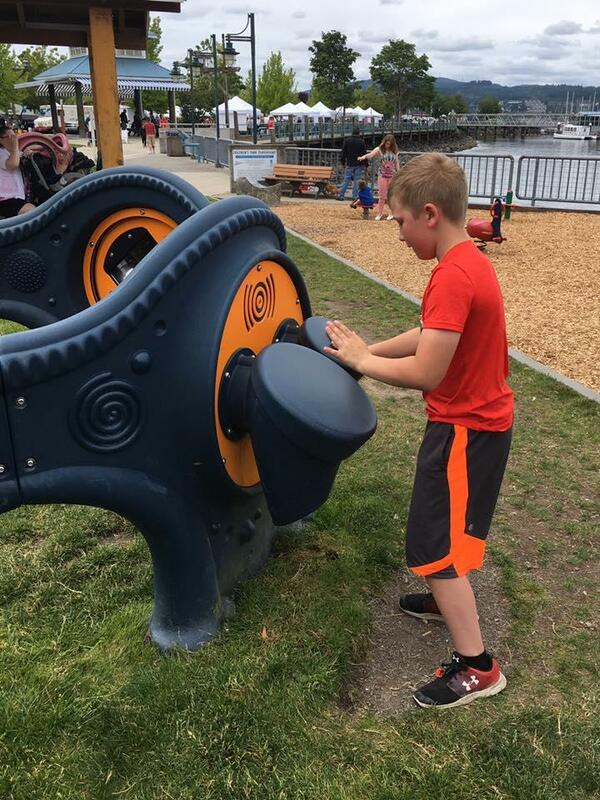 Facilities include a covered performance area, covered seating, restrooms, public beach access, children's playground and large lawn area making this a great community asset. 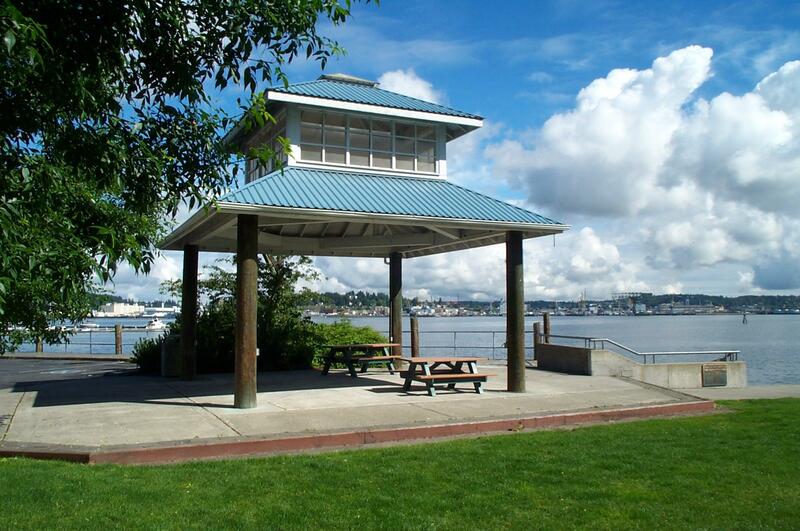 In 2013 the Port partnered with the City of Port Orchard to expand the Park and construct the first section of the Bay Street Pedestrian Pathway. The Park now extends eastward along Bay Street from the existing children's playground and includes a public viewing platform and improved public access to the beach. In addition, Leadership Kitsap Class of 2013 Project Team One created a public art "Chalk Wall" and reflexology path along with installing a park bench. The Pathway segment is part of the Mosquito Fleet Trail and provides a significant enhancement to pedestrian mobility along the waterfront. The Port offers both of these park amenities to the public for events and weddings. For details, please contact the Port Orchard Marina Office at 360-876-5535.